Posted: June 01, 2016, 06:10:36 AM by yuyu! Welcome to the RMRK Monthly Spotlight! Just as the title suggests, there is a spotlight that is supposed to will come monthly (at this rate, yearly ), operated by our very own moderators(when they feel like it). Each month (or year lol), we will cast the beaming and glorious spotlight upon very deserving, unsung heroes. This wasn't made during this month, but is long overdue in recognition. For those of you still using RMXP, this script is pretty darn cool AND perfect for any exploration or puzzle-solving RPG! This handy script allows you to set skills to cost more than 1 action point. 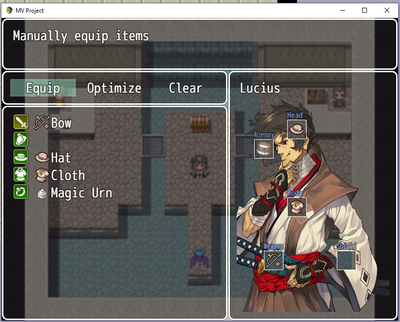 Adds a neat amount of customization for any RPG! DoubleX has even included a compatibility fix for any issues you might encounter. Here's another really cool script by DoubleX (this guy is on a roll)! This one allows you to have two actors cast skills together: a neat technique that should perhaps be in more RPGs! This neat MV script allows you to use visual icons for your equipment. 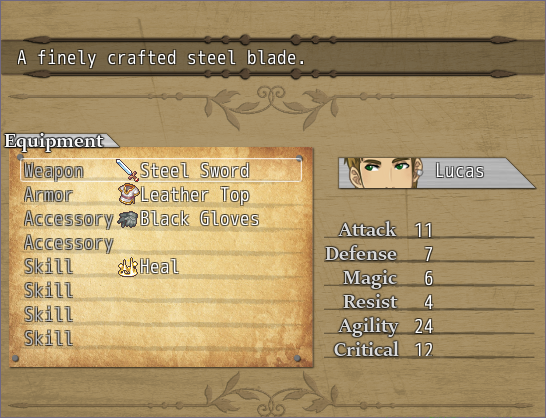 It's pretty, sleek, and saves you from the blandness of MV's default equipment screen. You can never have too many monsters! 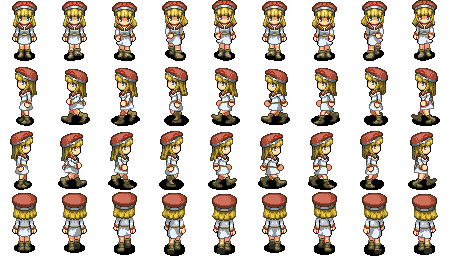 Be sure to check out landofshadows' neat creations - they even come with sprites! Justabox is back with more 3D horror games! In a 2D-influenced environment, it's hard not to double-take the impressive looks of these games. If you're into the dark and spooky stuff, be sure to take a look! This gorgeous game looks cool and continues to look even better. I know this one has been spotlighted before, but it deserves a second look for the all of the recent updates. This neat-looking game hasn't gotten nearly as much attention as it deserves. This puzzle game takes place in a free-world, allowing the player the freedom to do as he wishes. 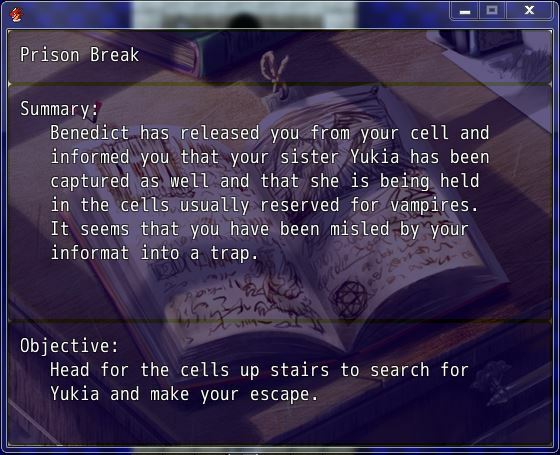 That's always refreshing to see in RPGs! *Here, we'll recognize specific members for any other contributions, assistance, or general awesomness that they kindly share with the rest of us internet peoples. DoubleX is probably going to be spotlighted forever because of all the wonderful content and updates he posts. This guy is a scripting machine and the RPG Maker world is a better place because of him! Not only are Heretic's contributions fabulous, but he has also been a huge help in motivating me to get off my bum and create another spotlight thread. He hopes to see the forums continue to thrive - an effort that is very much appreciated! It's about time! Game in a Week XV is here! Posted: December 29, 2015, 10:17:29 PM by yuyu! This Game in a Week challenge is based on themes, selected not-so-carefully and varying in degrees of weirdness and randomness. Try experimenting with one (or more) of those themes, to see what kind of project you can come up with! GAME IN A WEEK XV! Welcome to the RMRK Monthly Spotlight! Just as the title suggests, there is a spotlight that is supposed to will come monthly, operated by our very own moderators(when they feel like it). Each month, we will cast the beaming and glorious spotlight upon very deserving, unsung heroes. *An update on some of the goings on of RMRK. New MV boards are here! A new Maker is being released, and with it, some new boards! 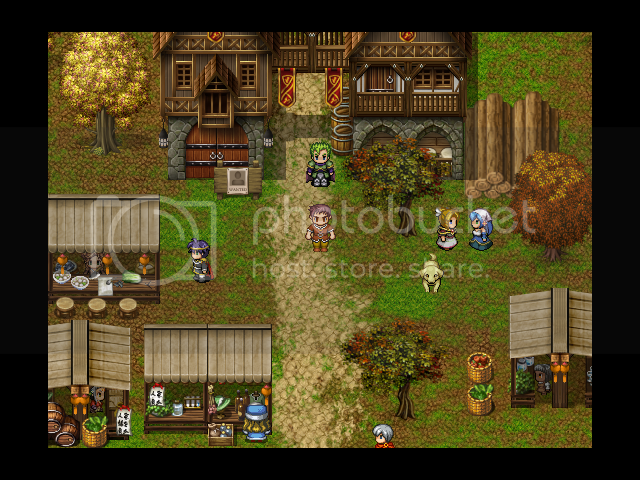 Pop on over to the main MV board to discuss the upcoming installment to the RPG Maker series. Maybe you could even get an early start on developing some resources! Boe has started up a pixel art challenge! 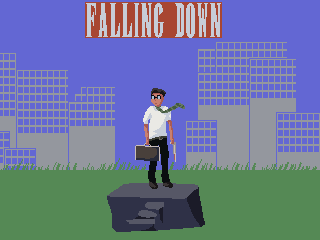 Never made any pixel art before? Well, now is a good time to test the waters with this friendly challenge! All skill levels are accepted and everyone is encouraged to join in. There are already some impressive entries for this month's theme: Favorite book or movie character! 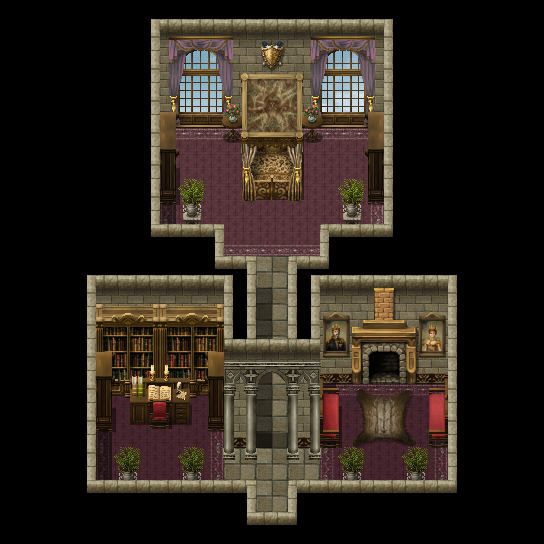 The RPG Maker community is always in need of more dedicated pixel artists, and SwampBeast's contributions have been outstanding. 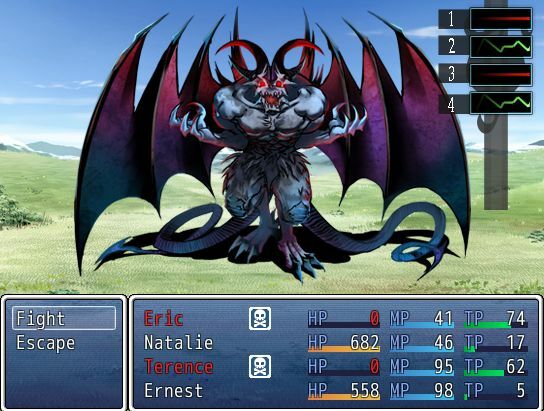 His newest template looks to give an old school flare to your RPGs. Bluntsword is compiling a list of handy resources for those of you wishing to put your future MV games on one of the mobile app stores! Bluntsword is a long time veteran of RMRK, and perhaps the only member here to be a published author! There may not be any pretty screenshots to look at yet, but if Bluntsword's books are anything to go by, this is one project you'll want to keep an eye on. Justabox has been hard at work updating his survival horror game, Grave Prosperity. The 2.5D graphics look better than ever with the new patches he's putting out. Welcome to the fifth RMRK Monthly Spotlight! Just as the title suggests, there is a spotlight that will come monthly, operated by our very own machine-certified (not really but ok) moderators. Each month, we will cast the beaming and glorious spotlight upon very deserving, unsung heroes. 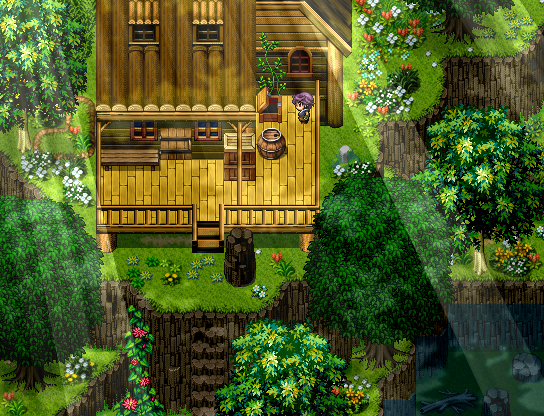 Started in 2013, Heretic has been adding to his huge collection of RPG Maker XP Resources for two years now. Anybody interested in taking their RMXP game to the next level should give this collection a try! Hyptosis has graciously decided to bless us with his awesome art knowledge! Not only will he help you make your game look beautiful, but he'll help teach you how to do it in a timely fashion! A newcomer to RMRK, Kodots Games has definitely set the bar high for their content. Wanda is described as "A short and simple, yet unforgettable tale of two wanderers on their adventure in search of the meaning of their existence in a post-apocalyptic wasteland.On the same quest, the two form an unexpected and peculiar bond as their simple tale of survival turn into extraordinarily gripping moments in this lonely place." With a unique story and beautiful custom artwork, Wanda is sure to be a game worth experiencing! 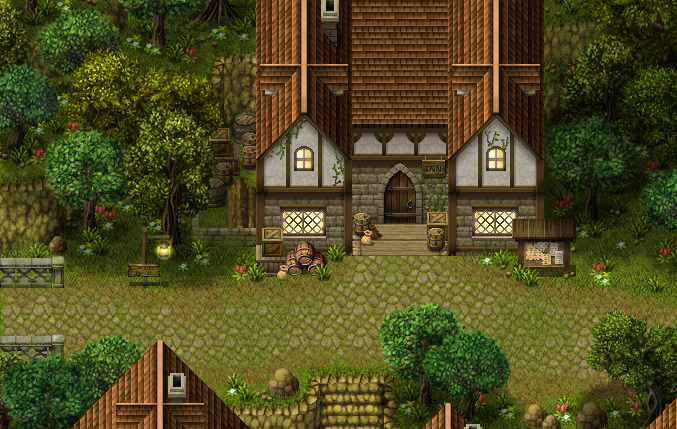 RedRaven has started a great looking game in RPG Maker XP. It promises to offer tons of exploration and secrets, as well as an intriguing botany system and a variety of mounts with which to traverse the world. Unfortunately, the game currently only plays in French, but RedRaven has expressed interest in translating the project for an English-speaking audience. Someone mentioned that I didn't put Boe here last month, which is a huge error on my part. He was a big help with moving and tagging topics during the forum shuffle. During the latest Game in a Week contest, he did most of the updating on the first post and answered many people's questions while I was away. 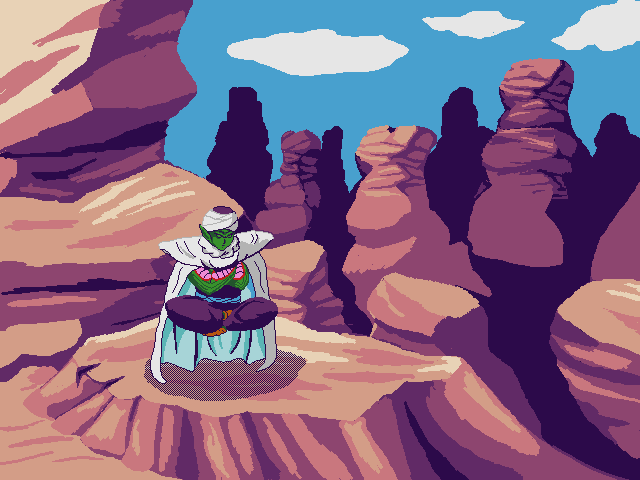 He's also becoming a pretty good spriter, and he helps out in the scripting boards a bunch. 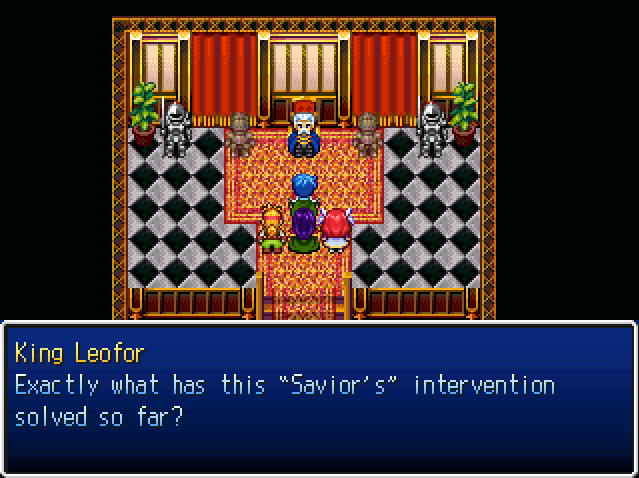 Ask him anything about RPG Maker and he'll try everything he can to help you out. He's a pretty great dude, and definitely deserves the spotlight! According to this post on the fitness thread, Slashaar has gone a whole month without smoking. That's a huge accomplishment! It's definitely not an easy thing to do, and I wish you the best of luck on the road to quitting. Welcome to the (somewhat belated, sorry ._.) fourth RMRK Monthly Spotlight! Just as the title suggests, there is a spotlight that will come monthly, operated by our very own machine-certified (not really but ok) moderators. Each month, we will cast the beaming and glorious spotlight upon very deserving, unsung heroes. The spotlight is going to have three general sections: 1. Great Contributions & Resources, 2. Games You Really Should Play, 3. Heroes of the Month. *Please note that all three categories may not be present each month, depending on forum activity. This guy is cranking out scripts faster than I can even keep track of! I definitely suggest going on over to the VXA Script database and checking out his stuff. He has an impressive array of scripting utilities as well as compatibility patches to use with other popular scripts. A rework of Hanzo Kimura's popular VX system, this Custom Inventory and Equipment System for Ace will give your game menu a unique and polished feel. Our resident Stencyl developer is at it again with his entry for the 5 minute jam! 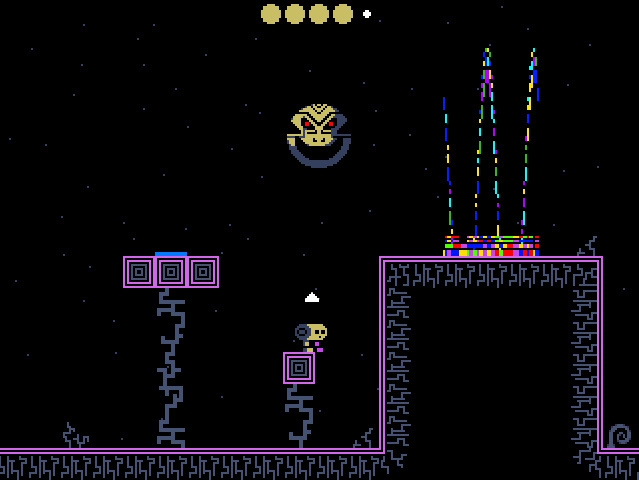 Destroy the evil electric space moon before it bashes you to mega-pieces! The game that everyone's been excited for since its debut has now been greenlit on steam! 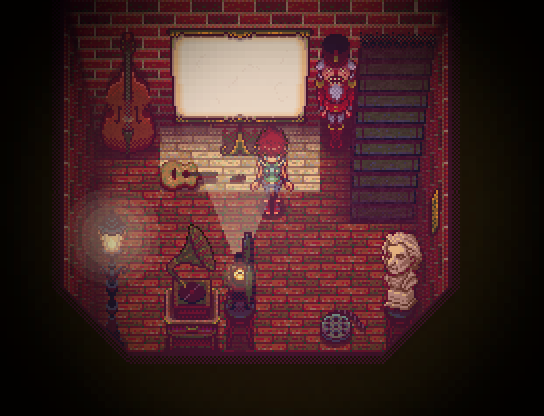 With beautiful pixel art and an intriguing story, this is one game you definitely won't want to miss! Long time RMRKer Strak has finally finished his VX opus! Immerse yourself in a full-fleged 20 hour old-school RPG, complete with exciting turn-based combat and several areas to explore. It's no secret that RMRK has been dropping off in terms of activity lately, despite our best efforts to breathe life back into the forums. Many of us had given up hope of ever regaining the former size of our community. But lo, like William Wallace rallying the Scots to fight for their beloved homeland, Strike rallied us to resuscitate RMRK, and I mean, RMRK's kind of like our homeland, right? Well, regardless, he was the main force behind the reorganization of the boards. Another driving force behind the RMRK restoration project, Irock jumped back into the mod saddle even after voluntarily stepping down. He tends to rub newer people the wrong way due to his sometimes bizarre sense of humor, but we all know that deep down, he's the heart of RMRK. Or maybe the gallbladder, or something. Either way, he's important, and we'd probably die without him maybe. Where would we be without our glorious babe-tastic leader? 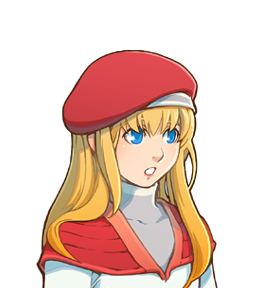 The third member of the restoration triforce, her divine admin powers were integral to providing us with the necessary tools for forum maintenance. She's also very nice and pretty and a good friend. *disclaimer: okay, this hero of the month was sorta mod-centric. I promise we won't do this in the future, but I felt the need to highlight the key players in getting RMRK back up and running. In a way, they really are heroes of RMRK, and they deserve a pat on the back. FRIENDLY REMINDER: Signups for Game in a Week XIV: The Genre Grinder's Revenge are now open! I encourage everyone to sign up, regardless of skill level. It's a great learning experience, and a lot of fun too! Posted: May 01, 2015, 06:25:21 AM by yuyu! Welcome to the third RMRK Monthly Spotlight! Just as the title suggests, there is a spotlight that will come monthly, operated by our very own machine-certified (not really but ok) moderators. Each month, we will cast the beaming and glorious spotlight upon very deserving, unsung heroes. The spotlight is going to have three general sections: 1. Great Contributions & Resources, 2. Games You Really Should Play, 3. Heroes of the Month. *Please note that all three categories may not be present each month, depending on forum activity. Looking to learn ruby and scripting? Luckily, Trihan showed up out of seemingly nowhere to breathe a little life into the scripting boards! 'Cause you can never have too many scripters, right? A big shout out to Trihan and his glorious contributions! RMRK continues to be the hot spot for great music - including this little gem by Mekuso. I would play DDR to this all day. I probably should admit that we're just a tad bit biased towards fancy artwork, so part of that is what snagged this nominee. Of course, Madurai has been known to make some pretty great games in the past. If you feel like digging this new gem, be sure to pick up the new demo! This game looks GREAT! Lavata is no spring chicken in the game making business, so we all expect this to become a really amazing game. Also, the artwork and visual are nothing to sneeze at. We need more 2k games in the world. SERIOUSLY. 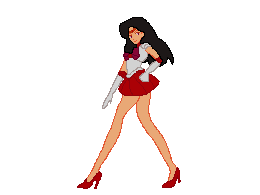 Look at how cool and pixely and nostalgic this looks! Posted: April 02, 2015, 03:00:24 AM by yuyu! Posted: March 01, 2015, 06:25:55 PM by yuyu! Welcome to the first RMRK Monthly Spotlight! Just as the title suggests, there is a spotlight that will come monthly, operated by our very own machine-certified (not really but ok) moderators. 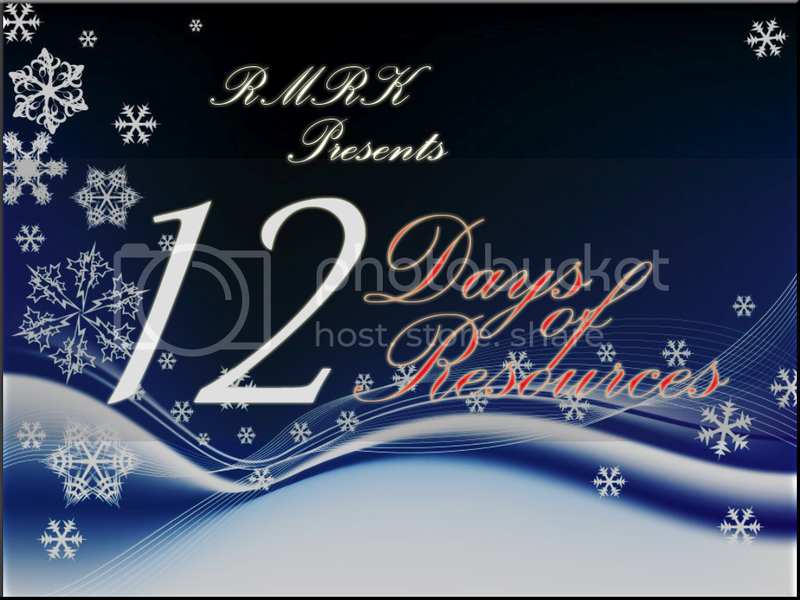 Each month, we will cast the beaming and glorious spotlight upon very deserving, unsung heroes. The spotlight is going to have three general sections: 1. Great Contributions & Resources, 2. Games You Really Should Play, 3. Heroes of the Month. *Note: Due to this being a new thing, not all of these spotlights are necessarily from February! Even the best work-of-art games need their own menu design, and this little gem has got you covered. Here's a list of some of the features: edit menu commands, actor status windows, window position and size. You can also add things, such as: background images, time, gold, and name windows. Click here for the VX version! If you're working on creating an epic RPG adventure, chances are you'll need a journal to keep track of your player's progress. Journal scripts are rewarding, but can take up a lot of time to set up. This particular script is easy to use and gets the job done. Rmrk has become strangely popular among musician game makers in the past. Quietly, another one has slipped among us! If you want to hear some pretty neat stuff, Meku's songies are quite lovely! On the very last day of February (depending on your timezone, I guess), Pacman unleashes his greatness with a surprise song. This Symphony is well-designed and beautiful, truly a great piece! Many of our members enjoyed listening to its snazzy rhythm -- and we think you will, too! The Worldbuilder's Fate is a beautiful game with a story that offers a lot of promise. Keep an eye out for the demo - this game already looks really, really great (and not just visually). Like Metal Gear Solid? Well, you'll probably like this, too! Not only is this game cool-looking, but it seems to contain a lot of interesting features that replicate MGS 2. This ain't your normal fan game. Years of work have been poured into this project, and the creator's dedication really shows! 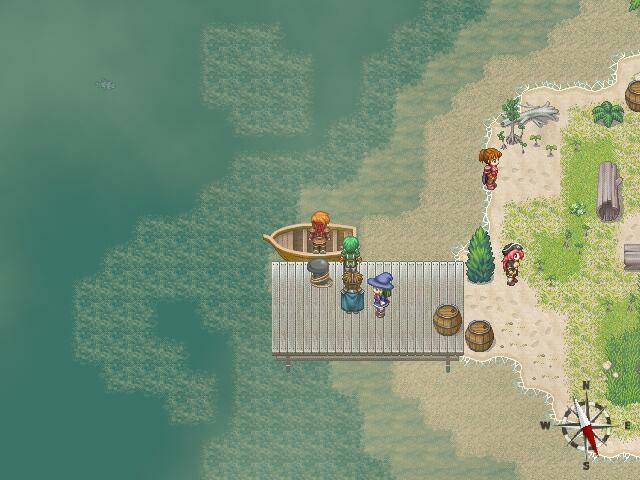 Legend of the Moonhunter is great at setting the environment, as well as providing an interesting cast of characters. Grave Prosperity is a horror game, designed with incredible 3-D graphics in the Construct2 engine. 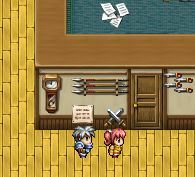 Before it became the masterpiece that we see today, this game was originally made in rpg maker...and STILL had 3-D graphics (what sorcery was that?). 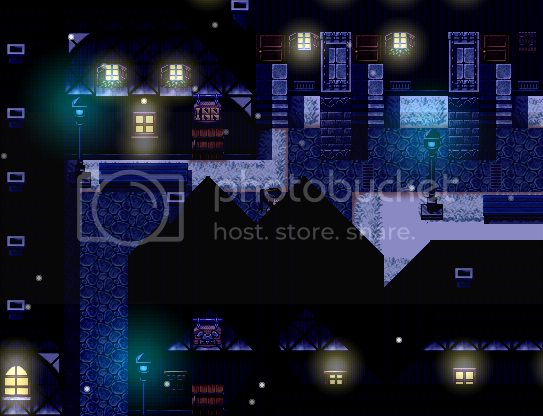 Aside from the 3-D graphics, the game has many mechanics in place to polish up the dark world justabox21 has crafted. Take a look at the scripting section and I'm sure you'll see tons of SoulPour's work. SoulPour is a member that shows up bearing gifts and asks for nothing in return. The spotlight shines upon you, SoulPour! We greatly appreciate the contributions you have made to the forums! Boe's crazy alter-ego tends to speak in a louder volume than the half of him that roams the forums, helping random strangers with their scripting issues. Well, we'd like to shine the light on this peaceful version of boe, and give him the love that he rightfully deserves. Gaaaaaaame In A Week XIII! RMRK's bi-annual time-crunch competition is back again and with a vengeance! And with prizes! GAME IN A WEEK XIII! It's there lucky thirteenth round (give or take) of our classic game creation contest where participants must put their skills to the test to produce an impressive game within a mere seven days. The winners will take home all the honor and glory that comes with making it to the top ranks, along with some fancy prizes this time for those who do well enough. We've got all sorts of random things to pass out, such as games like "Mirror's Edge", "To The Moon", and "Terraria", free requests for some of our veteran game designers to build something for you, even a free pizza night on us! Our GIAW contests are always pack filled with nail-biting tension, hilarious trash talk from people who probably shouldn't be making games just yet, and just good clean fun. Plus there's prizes this time! Come join in on the fun!